Nintendo has announced that Super Smash Bros for Wii U will be playable at more than 100 Best Buy locations around the U.S during the Week of E3 in mid-June. 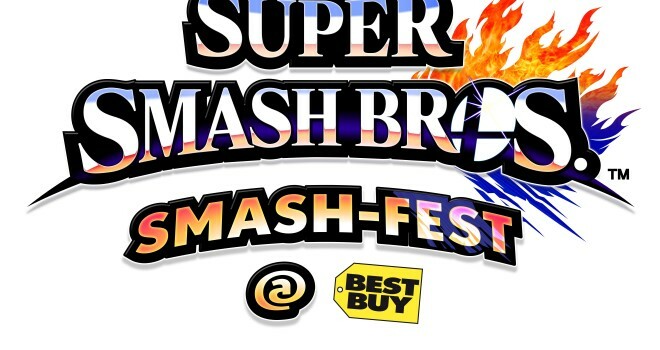 The Super Smash Bros. Smash-Fest will take place June 11 from 4-9 p.m. and June 14 from noon to 5 p.m. The people who attend will be able to play Super Smash Bros. for Wii U’s four-player E3 demo. And the first 70 who pre-order the game or its Nintendo 3DS counterpart will receive a special collectible: a Super Smash Bros. gold coin. Pre-order customers will also receive a $5 Best Buy Reward Zone certificate upon picking up the game at launch. Will you be heading to Best Buy to play one of Nintendo’s highly anticipated action-packed title?